165 units not 200. Also, comparing this to B787-8 which sold over 443 frames. The 178 B787-10 is still too small. Are we really seeing it used on 12 hour routes? NZ (who have been delighted with their 789s, apart from the Trent problem) are interested in the 787-10 for their Asian routes (up to 5000nm great circle). But they have been clear that the -10 is not in the running for their 77E replacement because it's not viable for North American routes (the shortest, AKL-LAX/SFO, are around 5600nm great circle). Doesn't sound to me like a twelve hour jet. So you telling us that the 78X is not a good fish hauler. It's terrific anywhere you're likely to fly from Iceland. From Boston to Japan, maybe not so much. I wonder how many hours can it do from Dubai in the summer? Depends whether you own a magic calculator or not.Sadly for the real airlines,they do not.If you do ,then it's probably anywhere. Perhaps TUI Group will order the B787-10 as replacement for the B744 and have a 400-440-seater for the big holiday destinations. TUI Group already fly the B788 and B789. What’s the 787-10 max capacity? Currently, Only Corsair in France use B747-400 at small number. Only 3 I guess. And they operate A330-200/-300. I don't think they would need B787-10. Maybe the 252t A330-900 for the future. Besides, I don't think they need B747-400 replacement, A330-200 could easily reach the Carribeans or Réunion. They are certified to carry maximum of 440 passengers. Same as A330-300 with door modifications or B777-200. I wonder why it hasn’t gained traction with high density domestic JAL yet? JAL has said last year that they will use high density A350s on domestic routes. But since then they have ordered 4 more 787-8s that should become their 1st 787s that will be primarily be used domestically (apart from some domestic flights with 787s with a international configuration). This year they also revealed their intentions to launch a long haul LCC with the 787. This could mean an adjustment to their overall fleet strategy, there might now be more room for the 787-10. Especially if they decide that the A350 will only be used for international flights, replacing some 787-9s that could go to the LCC or to the domestic operations. A lot of the 767s and 777s currently deployed on domestic routes by ANA and JAL are not that old. However, when time comes for their replacement, I can see ANA ordering more to the 3 they already have ordered for domestic routes. As for JAL, it is my opinion that they might skip the 787-10 and use some of the A359s and A351s on order to replace domestic 767s/777s. Not often mentioned but I would not be surprised if Air Do orders a few 787-10s to replace their ageing 763s. It is a big jump in capacity but their main route is between Tokyo and Hokkaido where demand is high year around. Mostly because it doesn't really fit into their high density routes. The same could be said with A330-300. Interestingly enough, it's too small for them. They would usually fly jumbo from Haneda to Osaka, Nagoya or other main cities in Japan. While the fuel consumption is nice. I don't think they could beat the 10-abreast B777-300 which have lower range and higher capacity. They already downgrade from B747-400D to B777-300. Downgrading it again to B787-10 capacity would be problematic since Haneda is already full. Maybe in the future, but they would probably use B777-9X between the long-haul operations and the domestic one. I went to Nagoya few time every year, usually transit through Narita though, and they always operate B777-300ER between Narita and Nagoya when I flew with them before. So maybe they would just do it with B777-9X and or maybe A350-1000 in the future. The high cycles must be wearing the 500 seat 777 out..
Lol yeah. I never flew on their B777-300 though, always the -300ER when flying domestic. They only have 4 after all. And if JAL were to use their 351s on domestic routes, no doubt they will get wear out, too, in no time. No, cycles to a 777 are the same as to an A320. Both have limits of validity to 60,000. The 787 has a fractionally better life. This isn't a 747 with only 35,000 cycles. IIRC, Airbus widebodies have a 36,000 cycle LOV. Anyone have a link? 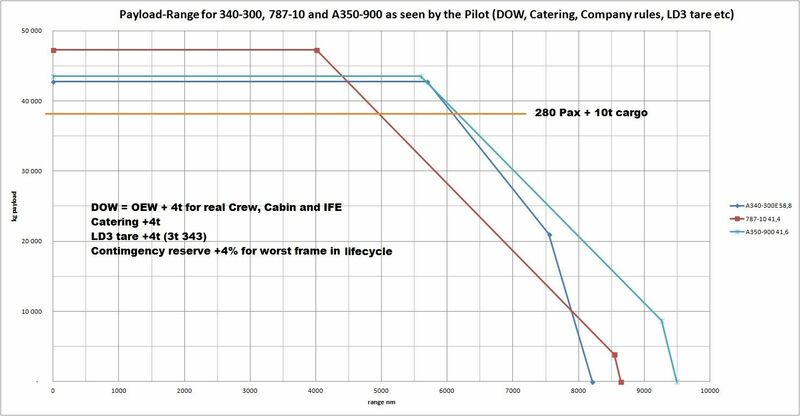 What is the A350 cycle life? Boeing knew the Japanese airlines would use the 787 and 777 as if they were narrowbody aircraft, so they are built to take the duty for 20+ years. Late edit:. I need to emphasize the 787 and 787 have the same cycle lives as the E-jets, A320, and the CRJ at EIS. (CRJs now 80,000 cycle LOV with the latest PIPs, just as the A320 grew from 48,000 to 60,000, excludes the A320-100 due to later structure changes). I believe the 777 is certified for two thirds more cycles than the A350. Would someone please post a link to the A350 LOV. As I noted before, the 777 will hold up to short flights as well as an A320. 60,000 cycles is a good 20 year life. But this is a 787 thread. They are built for 66,000 cycles. Absolutely unprecedented for a widebody. Im not as convinced on the 789s as they seem committed to the the 350. Having said that, if Boeing continues to maximize and reduce the cost on the 789, they just might bite on a mixed 789/78J fleet. Of course, the eventual MOM offering may impact a 789 decision as well (assuming Boeing actually ends up offering it)!?!?!? How about expensive maintenance items like engines and landing gear? Well yeah, the cycle for most of the aircraft tend to be similar to each other. It's just that most Wide-body aircraft are being used on medium to long-haul flights, which mean that throughout the years, they would accumulate less cycle because of the long flights compared to narrow-body aircraft. So we usually expect them to last longer compared to Q400 or A320 you see. It's just weird seeing wide-body aircraft at a really young age being scrapped or sent to the desert you know. Especially Plane like B777-300. The gear is much more expensive per cycle. There is a world of difference on the engines. Narrowbody engines are built for 20k+ cycles to first overhaul. Widebody engines are great if they make 7.5k. I'm forgetting the GE90/GEnX cycle limits. Some RR widebody engines have done absolutely rediculous duty on wing as they are cycle limited for the most part. I'm forgetting the record. Narrowbody engines do cruise better than with cycles, but the oil sump back pressure regulator isn't going to last forever and because it gets so hot in a narrowbody, it doesn't last past 40,000 hours in any engine I know of and to get to those things (which really controls the thrust bearing) requires a nearly full disassembly anyway... When the sump regulator goes, say goodbye to the low compressor and low turbine (failure modes create a brutal chatter). There is an interesting shift in range/capacity going on. In the previous generation, if you wanted a medium ranged airliner the A330 seemed to be the best bet. If you wanted more range or more capacity but did not want a 747/A380 the 777 was the choice. But now there are far more choices, and the 787 and A350 have pretty much taken the places of the A330 and 777, but swapped. Then, on the top, instead of having to go to a 4-engined plane we now have the 777X. The 787 family looks particularly attractive, as the 788 is lighter than a straight shrink of the 789, and hence offers lower trip costs, which is not usually the case. And the 7810, by trading range for capacity, offers very attractive economics for customers who do not need the extreme range. There are plenty of choices for 8,000NM airliners, but not for ones that will never fly more than 5,000NM. And Boeing is about to offer two new possibilities for this segment with the 797. That is a big hole in the Airbus fleet, and since relatively few flights are over 5,000NM, I think there will be a lot of airlines that eventually go for it. For comment on 777-300 (non-ER) short haul, the PW4090 was only certified for 4,000 cycles. It had horrible maintenance economics for JAL. That is very different than a GEnX. There is an interesting shift in range/capacity going on. In the previous generation, if you wanted a medium ranged airliner the A330 seemed to be the best bet. If you wanted more range or more capacity but did not want a 747/A380 the 777 was the choice. But now there are far more choices, and the 787 and A350 have pretty much taken the places of the A330 and 777, but swapped. Then, on the top, instead of having to go to a 4-engined plane we now have the 777X. The 787 family looks particularly attractive, as the 788 is lighter than a straight shrink of the 789, and hence offers lower trip costs, which is not usually the case. And the 7810, by trading range for capacity, offers very attractive economics for customers who do not need the extreme range. There are plenty of choices for 8,000NM airliners, but not for ones that will never fly more than 5,000NM. I cut off the end as this is a 787-10 thread. It is easy to find airlines it is not right for (Ethiopian due to altitude, DL who actually earns a premium off Y, or AirAsia as their customers was CASK at any seat z). For TATL for mild challenge on takeoff to mild Challenge, it will do well. After PIPs it will sell better. What does the 789 look like in this chart? PIPs and or new engines eventually will add useful range to the 787-10. For the 789 and both A350’s they would reduce fuel burn but wouldn’t really add useful new capability in terms of range. It would let you do more payload over more range by taking less gas but I think very few use all the capabilities regularly now. IMHO the 787-10 moves towards the sweet spot over time. When checking FR24, SQ's seven B787-10's longest route at the moment is NRT-SIN, which is about 3,000nm and takes around 7 hours. If all 331 seats are sold, are the aircraft near its max limits or do they have quite a few tonnes of unused fuel/payload capacity left? IIRC SQ stated that the B787-10 flights would not exceed 8 hours in normal ops. Don’t see this happening, especially as they want to get rid of the airline. I think both B and the airlines have been cautious with the 78X, now that it is certified except for some engine software updates it is much easier to decide on it. B has been stingy with the slots as the 789 was a 'go', the -10 could have had delays. B is favoring GE also right now, due to the RR delays and issues. The 10 doesn't open up new routes, but it does boost the bottom line when capacity and range work. It will be a steady 25 to 35% of the 787s from here on. Wasn’t the -10 ahead of schedule by a few months? The 787- 10 can only be produced at North Charleston, not at Everett, because the center section is made at North Charleston and is too long to be carried aboard a Dreamlifter. Right there, that limits potential 787-10 production to around half of total 787 production at any given time. Right now, the output is a good deal less than that, as it appears 787-10 frames are still taking longer to build than 787-9s. That will change as more are built. But for right now the 787-10 is quite capacity constrained. And I believe prices are reflecting that. Boeing in the last couple years has started offering much more aggressive discounts on 787-9s. There’s no evidence that they’ve done the same, yet, with 787-10s. As long as that remains true, the 787-10 will be attractive only to those customers who can get a whole lot of revenue out of the marginal passenger and cargo capacity. When Charleston is ready to crank out nothing but 787-10s, I suspect the real-world price of them will drop, and we’ll see quite a few more orders. I’d think anyone who flies A330-300s on regional or transatlantic missions could be a customer, as could existing 787 operators who are flying 777-200s on those sorts of missions (looking at you, AA). AA's 789 already has 289 seats and their most common 77E configuration has only 273 seats despite being 10-abreast (mostly owing to the 7 extra J seats in the 77E). Even if AA put more J in the 789, they could probably still fit 270 seats in. No need for 78X unless it gets TPAC range and China stops being a bloodbath. I see some candidates mentioned in this thread. Likely: KE, LY. Top ups: KL, NH, BA. Maybe: AA, LH, SV, AF, AC. Not likely: ET, QR, KQ. Some Chines carriers will also get likely get them. TG is a good candidate too. I still believe the 787-10 is perfect for EI, despite them operating an all-Airbus widebody fleet currently. Yeah, Chinese carriers probably will. They seem perfect for the CN3, and we can add TK to the list. The 787-10 would be a great replacement for some of AA's 772's It work great out of ORD and MIA. AA no longer uses the 777 from ORD; only 788s. The 78X would be a huge increase in capacity. AA's 789 has more capacity than their 772s, as well as more range and fuel efficiency. While the 78X has more space for cargo, its payload is less than 789 due to having higher OEW for the same MTOW, making it unsuitable as a cargo replacement for the 77E. Swiss doesn't have the 77E and LH Group will get them whatever they need. 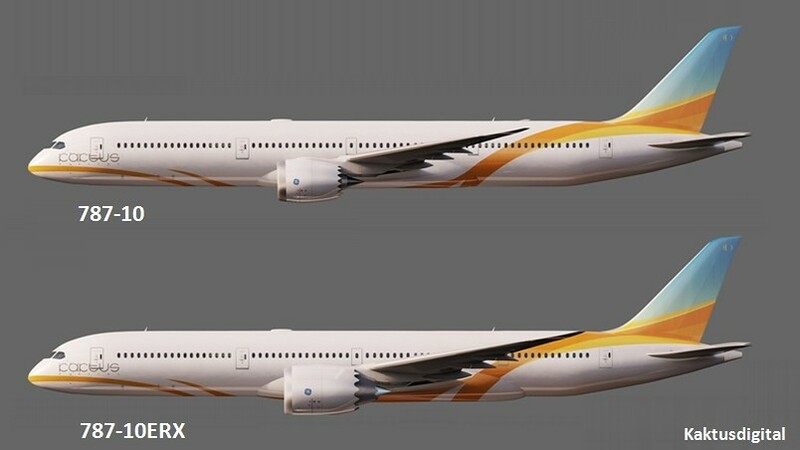 Thai already ordered the A359 and 789. I agree; EK, CN3, and the other Asian carriers are likely to become the largest 78X operators. It can do everything the A333 does, only better. Large A333 operators that don't have all-Airbus fleets are likely to order the 78X. AA is not one of them. The range of the 78X isn't the issue, it's just not the right plane for AA. But once it gets PIP'd you can expect the 78X to become the bestseller just like the 77W did and the A321 is going in that direction. This is why AA may choose to keep the 77E until they replace it with more 789 or the 78X gets PIP'd up to DFW-NRT range: the 77E lasts a long time, are only used on long routes (so low cycles) are paid off, offer a competitive product, are relatively efficient with 10-abreast Y, and they have a whopping 47 of them. The widebody MD-80. Why would the TUI Group want to order anything as a B744 replacement? They have no B744s, and have had nothing larger than a 767/788 and quite recently 789 for many years. A lot of the airports they serve with holiday flights would grind to a halt if 440 people tried to check in for the same flight. Will AF operate any or are they all for KLM? High density between the 15 biggest cities in China seems an opportunity. The chart was showing each aircraft's feasibility as a B77E replacement, not just UA's random opinions of these aircraft in isolation. So to them, the B789 is too small as a B77E replacement (for some routes), and the B787-10 doesn't have the range. I have agree with Airbus on this. A359 is the ideal 77E replacement. It was designed that way. Really of interest is the adjusted hours and cycles limit when the frames actually reach that domain. B seems to be less than conservative in their estimates. in general and manufacturer specific postulations? And then it comes down to how well a given airline's route network matches the A359/77E. Some 77Es were bought for its excellent payload-range, some were bought because they were more efficient 77As. A359/77E are more of a two ocean airplane, 78J is more of a one ocean airplane. Being able to offer both 789 and 78J is working out well for Boeing, IMHO. Do you have any evidence of this? Plenty of Boeing narrowbodies have flown right up to their very high cycle limits. Delta had to retire an entire fleet of 757s because they were cycling out. Southwest has routinely exceeded 60k cycles on 737s. No one has come close to the cycle limit on widebodies to my knowledge, but the Japanese operators have put 40k+ cycles on some 767s and 777s with no apparent issues other than increasing maintenance costs. Hours are a different story. KLM, a very conservative airline on maintenance, has flown some 747s past 140k hours. Delta has a few 767s that will soon exceed 130k hours. And some were bought because it was the only thing Boeing offered larger than a 767 but smaller than a 747. People here don’t always seem to grasp that aircraft in fleets don’t need to be replaced with new aircraft that have equal or better capability. I would expand in that people do not graap market and strategy shifts will drive airlines to change aircraft size. Most MD-80s were replaced by larger aircraft. Most 77Es I suspect by smaller. 747s we're almost universally by smaller. To hub, CASK must be super low. I think the 779 has potential. I see a large market for the 787-10, but I see most 77E replaced by 789. I see the 787-10 for many new markets as half of aircraft sold are for growth. Nothing is stagnant. The NEO/MAX change everything as does the 787-10, A350, and 779. Personally, I'm curious us an Asian hub or IST will be the largest airport by passenger count in 20 years. Regarding Aeroméxico, I ´ve read in other forums that the Boeing 787-10 could serve well on the airline´s services to Sao Paulo, Buenos Aires, Madrid, Amsterdam, Paris and ocassional North America (LAX, JFK) which have seen some increase in demand. But I don´t know if that will remain steady following the political climate in Mexico after July 2018 elections, which resulted in new MEX being cancelled. Im sure AM hinted on getting larger aircraft not long ago. How about LOT? They are very happy with the 787, well other then the current engine issues. Many were surprised they went for the 787-9 so why not 10. With space limited at WAW and possible visa free travel in a year or 2, they could fly the 10 to ORD, JFK and YYZ and possibly to matured Asian cities. I do not think the main reason of 787-10 not selling as much as the shorter versions is because it lacks more range. 787-10 is designed to be a medium haul people (& cargo) mover and beat all the other alternatives (barring A350R) comfortably at operating cost between 2500nm-4500nm. Anyone looking to move large number of people (& cargo) for longer ranges will look at A350 / 777X as per their needs. We'll see a big boost in 787-10 (and perhaps the A339) sales in about 8-10 years when the 1000+ A330s will start to come offline or scrapped and need replacements. Incidentally, some of the 789 operating under 10-11 hours will also need growth, quite a lot more airports will become slot constraint and the engines will get PIP - these will make 787-10 more appealing not to mention a price cut when the production goes up.